Pulp Chest Agitator mainly apply to stir pulp circularly in pulp chest, so that the slurry can maintain in a suspending condition, which ensure the pulp components even distribution. The blade is 304 stainless steel, which has fine mechanical property and strong corrosion resistance. The angle of blade can be adjusted according to the different consistency of different slurry. The belt pulley is European standard, easy to tear down and maintain. The structure of Pulp Chest Agitator is simple. Basically doesn’t need to maintain. 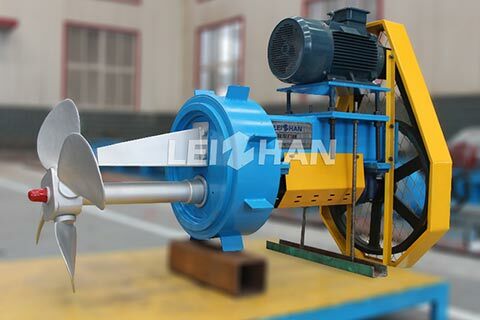 Leizhan is a professional manufacturer of pulp and paper equipment. Welcome contact us for more details.